They’re the “Oh no” moments of travel, those unforgettable times when something unexpectedly goes wrong and you find yourself in a seriously sticky situation. Maybe you return to your rental car to find it locked in a parking garage. Or you emerge from a crowded plaza and discover your wallet is missing. We’ve been there, too. So here are the play-by-plays to get through 10 sticky travel situations—then get on with your vacation. Sticky Scenario: You parked in a hurry and didn't check the garage's hours, and you return to a closed gate and a dark cashier booth. What to Do: Accept that you may have to come back in the morning. 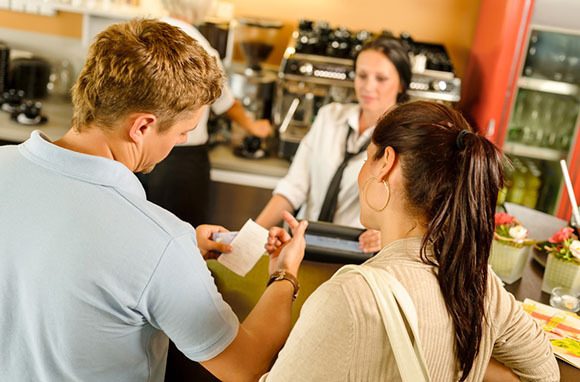 But before you give up, check for information that might be posted by payment kiosks, cashier stands, or the exit. You may find special instructions for after-hours exits. Some parking garages close for the night but the heavy gates still open from the inside to allow after-hours exits. If there's no getting your car out that night, call a cab or head to the nearest large intersection. 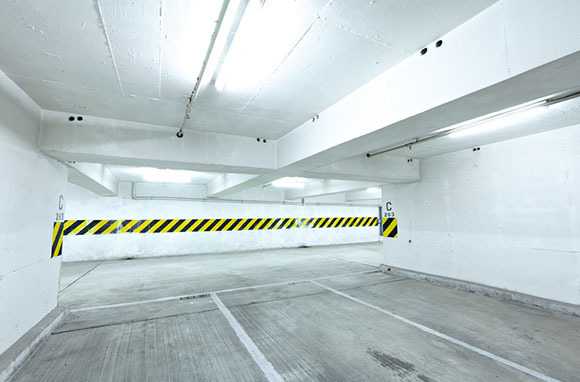 If you're in an unfamiliar city, make sure to note the name and location of the garage before leaving so you can get back to it the next day. Silver Lining: This isn't a mistake most people make twice. Sticky Scenario: You slide into the backseat of a cab with a thin wallet but have your credit card ready, when the cab driver says, "I only accept cash." What to Do: Ideally, you'd ask before you get in the car. But know that sometimes cab drivers say they only accept cash—or insist that their credit card machines are broken—even when city laws state that taxi companies must accept credit cards. The best thing to do in this situation is to know in advance what the rules are. 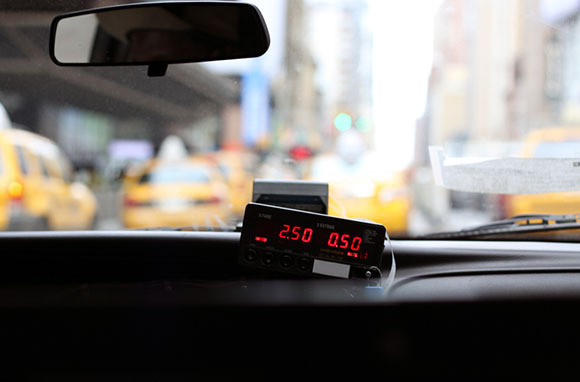 Cities where most cabs are required to accept credit cards include Boston, Chicago, New York City, and San Francisco. In Europe, some cabs in some cities accept credit cards. Note that even in cities that require taxis to take credit cards, independent operators may be exempt. If you're in a city where cab companies must accept credit cards, you can push back or report the cab driver (usually by calling 311 and giving the cab's medallion number). If you do end up paying with a credit card, be sure to up the tip, as cabbies have to cover the credit card surcharge (a big part of why they prefer cash). If paying by credit card just isn't going to fly, you can ask the taxi driver to swing by an ATM. Or better yet, keep a stash of emergency cash ($20 to $40 in local currency) folded up and tucked in a remote corner of your wallet for situations like this. Silver Lining: Once you know which cities have cabs that must accept credit cards, you'll know when to insist on your rights. Sticky Scenario: An emergency at home means you need to cut travel plans short and return immediately. What to Do: If you have travel insurance, some of your change and cancellation expenses may be covered, but it depends on both the type of travel insurance you've purchased and the nature of the emergency. If you don't have travel insurance, you may still be able to get some of your flight change fees waived by calling the airline and explaining the situation. Be aware that airlines may require that you follow up with documentation in order to receive the discount. As soon as it becomes clear that you have to change your flight, get online and make a note of flights that work for you. Then call the airline, explain the situation, and see if you can change your flight to one of your preferred options. Depending on how fast you need to get back, the best option may be to head to the airport and see if the check-in agent can confirm a standby seat or get you on a standby list. Hotels are unlikely to offer a refund for prepaid nights, but you might be able to negotiate rebooking at a later date for no charge. In the end, you may have to just make your peace with losing some money on the interrupted vacation. Silver Lining: There's nothing like a family emergency to put losing some money in perspective. Sticky Scenario: The hotel's desk clerk says your room number out loud while checking you in. Add more stickiness if the hotel lobby's demographics seems shifty or you're traveling alone. What to Do: For security reasons, most hotel staff are trained not to say guests' room numbers out loud during check-in. But if it does happen, you've got a few options. First, assess the situation. If you're in an empty lobby, it's probably no big deal (although it's still worth asking the clerk not to say your room number out loud again). However, if there are people within earshot, it's entirely appropriate to request a different room and ask the person to write the number down for you to read. Silver Lining: By drawing attention to the behavior (rather than just letting it slide), you're doing a service for future travelers. Sticky Scenario: You get lost someplace where you don't speak the local language. What to Do: Here's the thing about getting lost in a new city: It's probably going to happen. Since you know this in advance, you can prepare. Before setting out, make sure you have the address of the place where you're staying. If you're staying within a few blocks of something noteworthy, say, a metro station, a monument, or a major intersection, make note of it. That way, if you're asking a stranger for directions and don't want to give them your exact address, they can still get you back to your general neighborhood. Even if you've got your smartphone set to airplane mode to save on fees, it can still be a great navigator. Some guidebook apps have built-in maps, but you can also find individual city-map apps. As an added benefit, you'll draw less attention to yourself as a lost tourist if you're casually looking at your phone rather than wrestling a paper map on a street corner. You'll also want to take some steps to prepare yourself for the language barrier. Technology is great, and we highly suggest downloading a translation app (there are lots of cool ones out there), but when it comes to getting people to want to help you, nothing beats taking the time to learn at least enough of the local language to ask if they speak English or to say, "How do I get to … ?" Pointing and hand gestures can get you the rest of the way. If you've got no phone, no map, and no vocabulary, walk until you find a hotel and ask the person at the front desk for directions or to call you a cab. And if you can't find a hotel, remember that the sun rises in the east and sets in the west, so if you wait long enough, the sky will point you in the right direction. Silver Lining: Getting lost is sometimes a great way to explore a city. Sticky Scenario: It's every traveler's nightmare to find yourself in a foreign country robbed of your passport or credit cards. What to Do: In this situation, the key is to remain calm, act fast, and utilize all available resources. If you scanned your passport and either kept a physical copy in another part of your baggage or stored it in email or online, you're ahead of the game. The same is true if you wrote down your credit card numbers and customer service phone numbers. Once you discover that your credit cards are gone, you'll want to notify the local police, then contact the nearest embassy or consulate to get a replacement passport. U.S. foreign offices also have American Citizens Services departments that can help you in medical and financial emergencies. Then call your credit card companies to report that the cards have been stolen. If you don't have the customer service lines programmed into your phone or written down somewhere, look them up online. A good just-in-case measure against having your credit cards stolen is to keep one separated from the others and hidden on your person or tucked somewhere safe in your belongings. As long as you're squirreling things away, add some emergency cash to the stash as well. Silver Lining: If you didn't like your passport photo, this is your chance to get a new one. Sticky Scenario: Most hotels allow you to come and go as you please, but some B&Bs, small inns, convent-turned-hostels, and other smaller accommodations impose a curfews on guests. If you come back to a locked door, you'll have to think fast. What to Do: First, you'll need to assess how locked-down the property is. We've been there too, so we're not going to scold you and say that you shouldn't pound on the door and see if anyone comes to open it. But do remember that there are other guests inside who are likely asleep because they planned accordingly and got back in time, so temper the ferocity and duration of your knocking. If no one opens the door for you, try calling the property, but that's not likely to yield results, either. The next step is to embrace the alternatives, none of which are ideal. If you're willing to stay up, find yourself an all-night cafe or bar, or throw yourself into the local nightlife at a club. If you can absorb the cost of a second room for the night, head to a larger hotel (one whose front desk is staffed through the night). If you're exhausted and short on funds, consider going to a train station or airport, where you won't be the only person trying to get some shut-eye in imperfect circumstances. Silver Lining: The next day, you will likely buy yourself a shiny new watch. Sticky Scenario: It's been a long day, and you arrive at the hotel where you booked your reservation only to discover they're oversold and don't have a room for you. What to Do: Airline passengers have specific rights if they get bumped off a flight, but hotel guests don't. 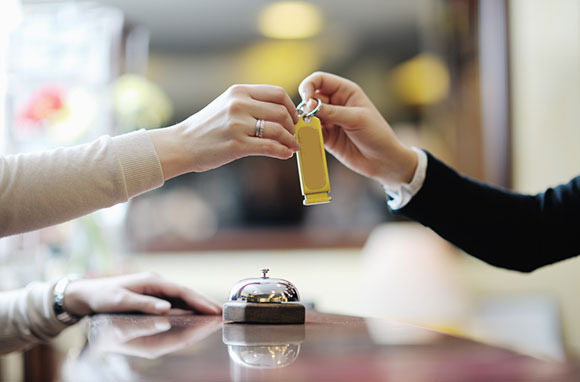 In the United States (and in many other countries as well), the normal industry practice is to "walk" guests with reservations to another hotel and pick up the cost of the stay and the cab to get to the alternate hotel. The idea is to offer a comparable hotel experience, but often the substitute is inferior, either in location or quality. SmarterTravel's Ed Perkins offers the following advice: Accept the fix if it's reasonable, but ask for compensation if the proposed solution falls "significantly short of your expectation." He also urges travelers not to accept a bad fix. "If the first offer is an unacceptable alternative, negotiate for something better. If the clerk or agent says 'take it or leave it,' ask for a manager." You can also find your own alternative and ask the supplier to arrange it, or, in the worst case, pay for your own acceptable alternative and submit a formal complaint after you return. If you do need to find yourself an alternative, a last-minute hotel app like Hotel Tonight or Priceline's Negotiator can simplify the process. Silver Lining: This is a great chance to practice your negotiation skills. Sticky Scenario: You're in a foreign country where the newer chip-and-PIN credit cards are the norm, and your card is rejected at the automated kiosk at a train or gas station. It's after hours and there's not an attendant around to run your magnetic-stripe credit card through an alternate machine. What to Do: If this happens at a train station, you've got a couple of options. The first is to dig down to the bottom of your bag and fish around for enough cash and coins to buy that ticket. The second is to just board the train without a ticket, then immediately seek out the conductor and ask to buy one, explaining the situation. Bear in mind, though, that if you board without a ticket, you risk getting a fine. By proactively approaching a conductor on the train, you're at least showing that you're not trying to get a free ride. Since gas station machines don't accept cash, discovering that a pump won't take your credit card at an unstaffed gas station is trickier. In this situation, you may have to hope you've got enough fuel to find another gas station—one with an attendant who can run your card or accepts cash. Silver Lining: More and more U.S. credit card providers are offering chip credit cards. As an added bonus, some of them also have no surcharges on foreign transactions. Sticky Scenario: The credit card company says your card should be working, but credit card machines in your destination say otherwise. What to Do: There are a number of reasons why cards won't work or work sometimes but not others. Credit card companies monitor suspicious activity, so if you didn't call them with your travel itinerary, the company may have put a temporary freeze on the account. But if that's not the problem—the company tells you the card should be working and yet it's still giving you trouble—you may have to come up with a Plan B. A good Plan B in this case should involve a back-up credit card or two if your primary card stops working. Sure, you might not be earning the rewards you do with your primary card, but it definitely beats having to wash dishes to work off that meal. Traveling with an ATM card so you have both cash and card options is another good idea. 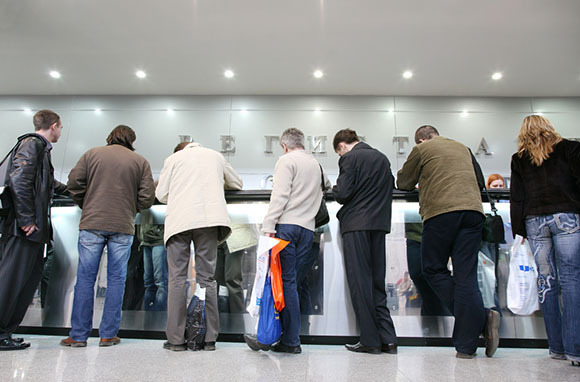 And of course, there are always the old-fashioned standbys of bringing travelers' checks or converting currency at the airport or a local agency. And if you've only got one card and no cash, and you're going to be in one place for at least a few days, you can call the credit card company to see if they can rush you a replacement card. Silver Lining: You'll get to practice your formal-complaint letter writing when you contact the credit card company after returning home.